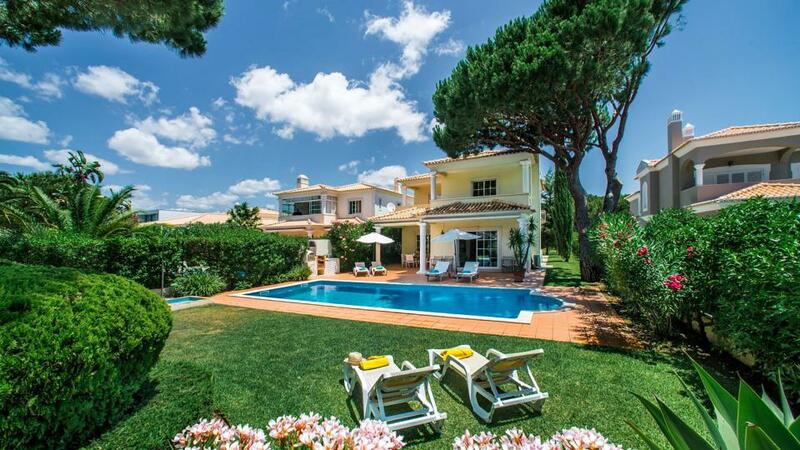 Modern villa bordering the Vila Sol golfe course overlooking the putting green of the 24th hole. Room, Ground level. This bedroom has 2 twin beds. Bathroom ensuite. Room, 1st floor, golf view. This bedroom has 1 double bed. Bathroom ensuite. This bedroom includes also dressing room, private balcony. Room, 1st floor. This bedroom has 2 twin beds. Bathroom ensuite. Entrance hall, living room with dining area, gas fireplace, satellite TV and DVD, access to the terrace overlooking the swimming pool and the golf course. Fully fitted and equipped modern kitchen. Garden, covered terrace with table and chairs for 8, swimming pool with sun loungers, BBQ area with Gas BBQ. 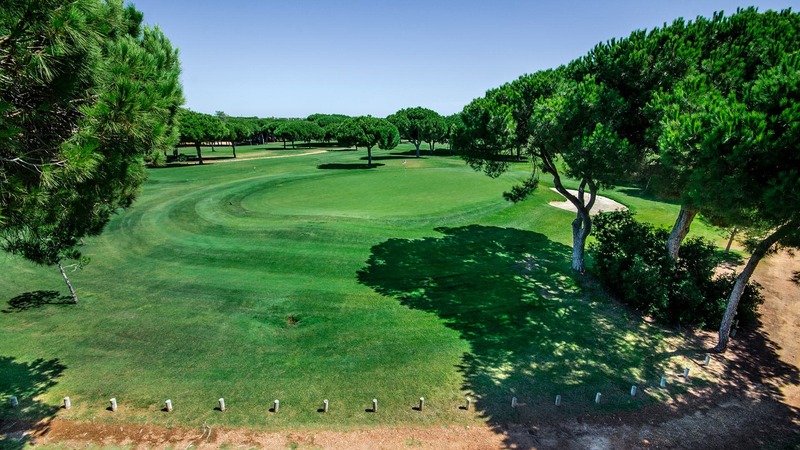 Vila Sol is a residential golf development located within easy drive distance of Vilamoura marina and at about 2 km from the water park Aquashow.